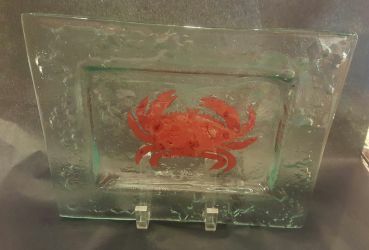 Show off your Maryland pride with this handmade glass crab platter -- perfect for entertaining! Platter measures 8"x10". Handmade in the USA. Food safe, hand wash, please do not microwave.